Looking for the best hostel to stay in Pai for backpackers? Then once again you've come to the right place. I review the places I stay in each city/town/village I visit to make sure that you guys know where to go and what to expect! Thankfully we were able to collaborate with the wonderful team over at La Mom Hostelo which is located a stone's throw away from the thriving Walking Street. 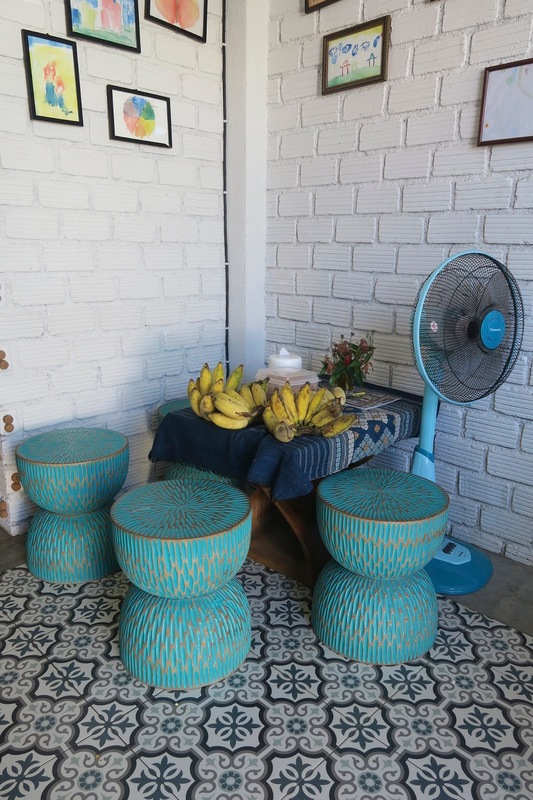 La Mom Hostelo is at the top of our backpacking list of places you MUST stay in South East Asia. Within seconds of walking through the front door we felt right at home after speaking to the lovely Charlie - He really stands out and the hostel wouldn't be the same without his welcoming smile and cheeky personality. We love Charlie haha. Another super easy check in, gave our name and were given the key to our room straight after showing our passports. Charlie shown us around and let us get ready with a cup of coffee, banana and gave us some traditional Thai biscuits too! The hostel offers 4 bed and 8 bed dorms, with rooms starting at £8 a night. We stayed in the 4 bed dorm at the front of the hostel and couldn't have been more pleased with our experience. For me, cleanliness is a must have for me to feel comfortable, and there wasn't a speck of dirt anywhere in the room! 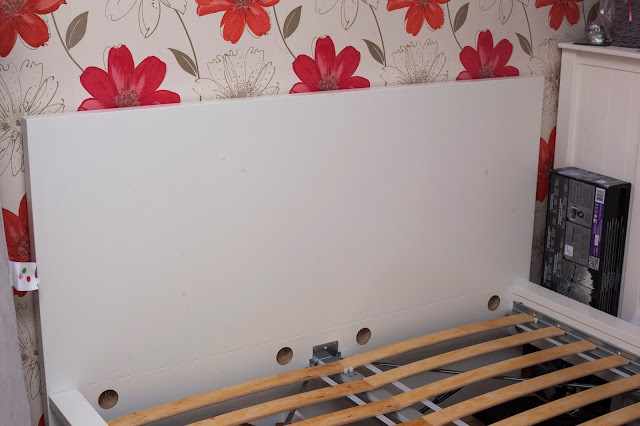 The bunk beds were comfortable and had high quality bedding and privacy curtains. The rooms were very spacious with room at the end of the beds and under the beds to store our luggage. Luckily we had the room to ourselves during our stay so didn't have to worry about making room. The room has wide, sliding glass doors that open onto a sweet little garden seating area where we were able to enjoy our breakfast in the mornings which made the stay extra special as we hadn't had our own private garden yet. The attention to detail was great here with little wooden stools and table for us to use. 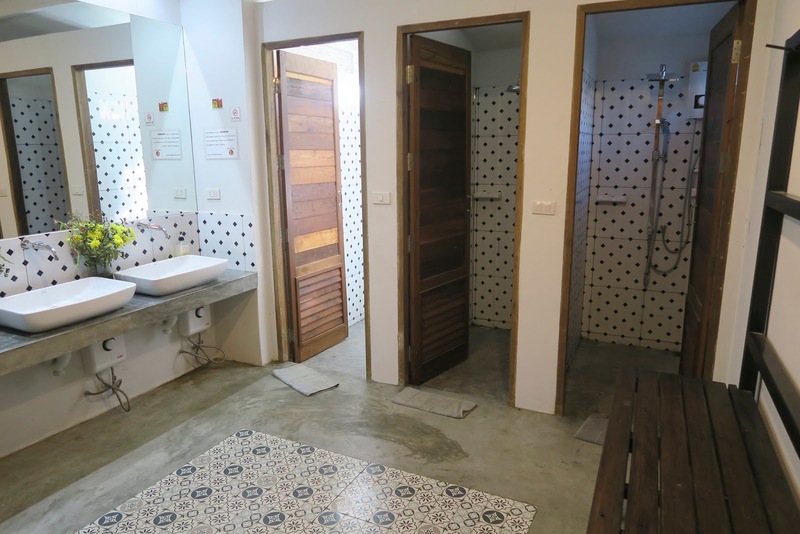 There is a large shared bathroom with three showers and two toilets. A minimal design of concrete and retro tiles really pull the room together. We loved the simplistic design and the rain shower heads were just PERFECT for water pressure and heat. The large mirrors were just the right size for the party of girls who were staying in the other dorms, we managed to fit all 5 of us across the mirror to complete our make up before heading out. In addition to all of this, the hostel also back out onto a large garden area with a hammock for us to enjoy the sun - and connected to that is a burger restaurant also owned my the hostel which offer amazingly LARGE portions for the biggest of eaters. There was so many chips and onion rings I only managed to eat half my burger, it's great value for money. 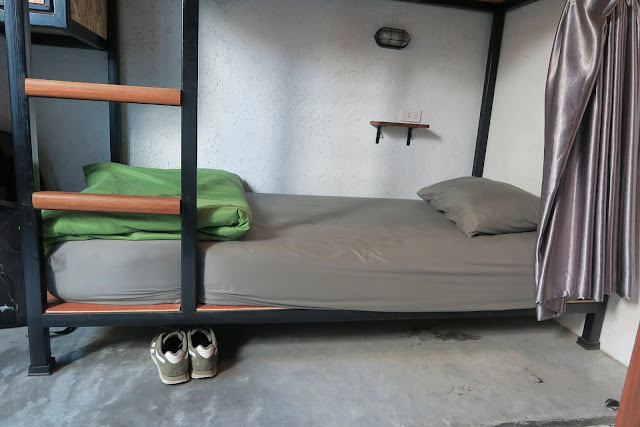 You can book La Mom Hostelo via their Booking Page! If you follow THIS LINK you'll receive 10% off your entire booking. Let me know if you book it, and make sure to say hello to Charlie for me!